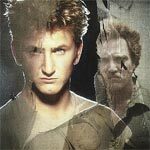 At Close Range is a bit uneven but still effective character drama headlined by a few great performances especially by Sean Penn and Christopher Walken. Despite some flaws, it’s a compelling story and worth checking out at least once. The Blu-ray released by Twilight Time is nice and all with good video/audio transfers yet again comes at a high price.